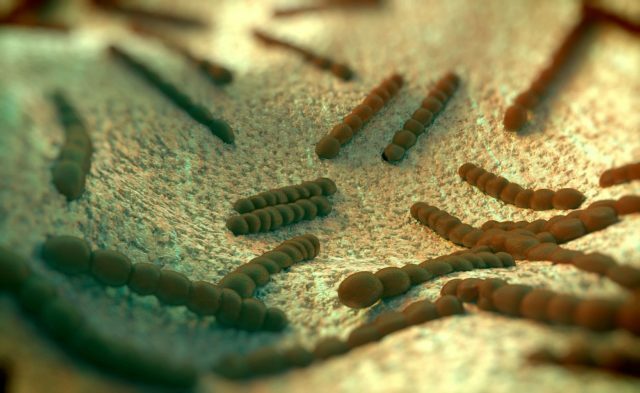 Higher angiopoietin-2 serum levels were found in community-acquired pneumonia patients who died within 28 days after diagnosis compared to survivors. Interventional reduction of the angiopoietin-1/angiopoietin-2 ratio may provide a therapeutic perspective for prevention of acute lung injury in pneumonia, according to a study published in the American Journal of Respiratory and Critical Care Medicine. In newly diagnosed patients with pneumonia, CRB-65 and CURB-65 scores are recommended in international guidelines and CRB-65 is widely used as a predictor of death. Both scores are comparable for mortality prediction, but provide insufficient prediction power of 30-day mortality or intensive care unit (ICU) admission. The identification and addition of specific biomarkers may improve the accuracy of both CRB-65 and CURB-65 scores. In this holistic analysis, clinical data combined with comprehensive in vivo and in vitro pathomechanistic experiments evaluated the prognostic and pathogenic effect of angiopoietins in regulating pulmonary vascular barrier function and inflammation in bacterial pneumonia. In this study, 2 cohorts of patients with pneumonia (n=148, n=395) were enrolled. The first cohort was comprised of 74 patients who did not survive 28 days after pneumonia diagnosis matched with 74 patients who did survive based on age, gender, and CRB-65 score (0-3) in a 1:1 ratio. Samples were taken 24 hours after diagnosis. The second cohort included patients with pneumonia who provided samples within 48 hours of hospitalization and 3 days afterwards. In both patient cohorts, serum angiopoietin-1 (ang-1) and angiopoietin-2 (ang-2) levels were quantified and compared with healthy subjects. In the first cohort, protein serum levels showed an increase in ang-2 and a decrease in ang-1, and therefore an elevated ang-2/ang-1 ratio when compared with healthy subjects. In the second cohort, the 4.8% of patients who died within 28 days of enrollment showed significantly higher ang-2 serum levels compared with survivors. A trend of decreased ang-2 serum levels as the length of stay in the hospital increased was seen; the opposite of this trend was seen in non-survivors. When ang-2 serum levels were added to the established CURB-65 score, ROC analyses showed a significant improvement in prognostic accuracy for 28-day mortality (P =.0198) and length of hospital stay (P =.0001). Pneumonia can also evoke disruption in the integrity of the pulmonary endothelial barrier, resulting in acute lung injury. Additional in vivo studies observed increased pulmonary ang-2 and reduced ang-1 mRNA expression in Streptococcus pneumoniae-infected mice. Furthermore, lungs of mice treated with ang-2 specific siRNA showed reduced permeability upon pneumolysin stimulation compared with mice treated with control siRNA. In vitro, ang-1 was able to reduce pneumonia-related barrier failure, suggesting a protective effect through reduced inflammation.